The Quintessential Raspberry Jam from Not Just Jam. I've been meaning to write this post for a little while now. I made jam. And I feel totally accomplished. I wish I had a romantic story and photos of me skipping through a berry farm swinging a woven basket full of hand picked berries but unfortunately I don't. In reality fresh berries in Sydney are stupid expense so unless you have the garden of my dreams, frozen berries are what you're left with. As long as their 'Australian grown' I think you're doing pretty alright. So instead of a romantic montage of photos, I have a really great jam recipe from a book that makes you wish for a pantry the size of a walk in wardrobe. The last time I made jam was for my year 9 Food-Tech assignment where I successfully turned sugar and berries into toffee and the only way to get it out of the jar was to microwave it. To say I haven't been super confident to jump back in is an understatement. But then over the last long-weekend I read Michelle Crawford's book, 'A Table in the Orchard' and fell in love with her story, her garden, her kitchen and it was like jam called to me from it's pages. I wanted that homey feeling of warm toast, salty butter and sweet homemade jam with a steaming cup of tea. I wanted to stand over a stove and stir jam, pour it into jars and label them as my own. Recently on her blog, 'Hugo & Elsa' she wrote about a book she co-wrote with Matthew Evans, an ex-food critic turned farmer called 'Not Just Jam'. It had me at the name and when I found it in my local library I instantly put a hold on it and picked it up that Saturday morning. I never want to give it back. 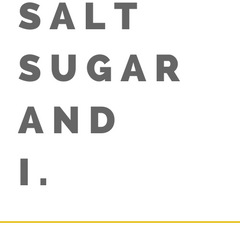 It's full of recipes that you wish you could grab a spoon and dig in straight from the jar. 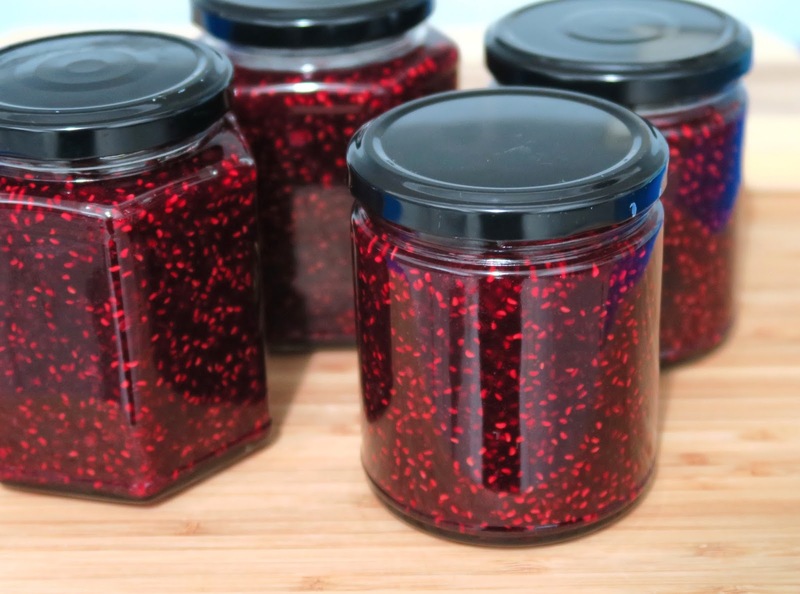 I was still a little hesitant to jump two feet first so instead of going for one of the more complex sounding recipes, lets me honest jam making still scared the pants off me, I went with 'The Quintessential Raspberry Jam'. Having stirred about 1000 pots of bubbling sugar, it's second nature to be precaution but I still felt out of practice, it's been nearly 2 years. Was it going to bubble over? was my pot too small? do I need to roll my sleeves down? will it spit at me or splutter and cover the cooktop and me with sugary jam goop? Every type of bubbling sugar acts differently and I don't think you can classify my year 9 attempt as a successful jam making venture. I don't know what I was nervous about!? With my plate in the freezer and my jars sterilised, I stood in front of my pot of raspberries, sugar and lemon juice armed with a candy thermometer and spatular, I felt a buzz, this was exciting. I was making my own jam. I precariously watched the temperature climb, ready to ditch my stirrer any second and run to the freezer in a panic but it all happened so smoothly. I gave it the wrinkle test as well as making sure it came to the correct temperature and turned off the heat. Filled my jars with hot jam, screwed on the lids and I was done. A couple of hours later the lids had inverted and they were sealed, waiting to be labelled and stored. Ok one jar didn't get stored, it was instantly opened with a satisfying pop and toast happened. I had to make sure it has set right before I could give the rest as gifts right?? We've gone through one jar already and on to the second. I had grand plans to gift this first batch of jam but I don't know how much will make it out of our apartment, more likely to end up on our morning toast. Might just have to make another from this delicious book before I return it to the library. - Place a small plate in the freezer to chill and warm your sugar in a moderate oven, in a heatproof dish until warm to the touch. - Heat the raspberries with the warm sugar and lemon juice in a wide-based pan over high heat. Stir every minute or so using a flat-edge heatproof spatular. - After about 9 minutes start to test for a set. Dribble a little jam onto the saucer which has been chilling in the freezer and leave for 30 seconds. 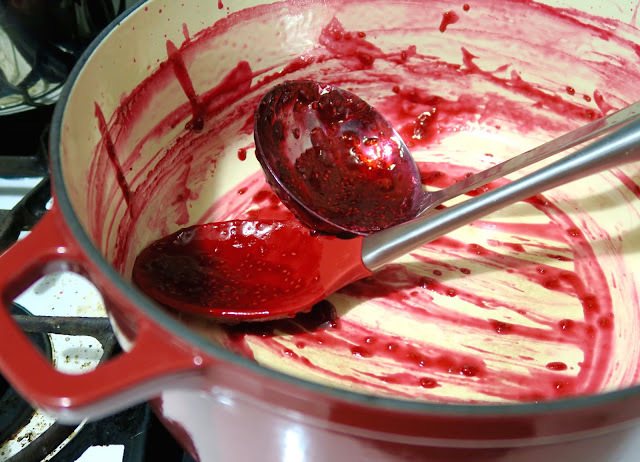 Run your finger across the drop of jam, if it wrinkles it has reached the setting point. Alternatively if you have a candy thermometer handy, it needs to reach 105C (220F). 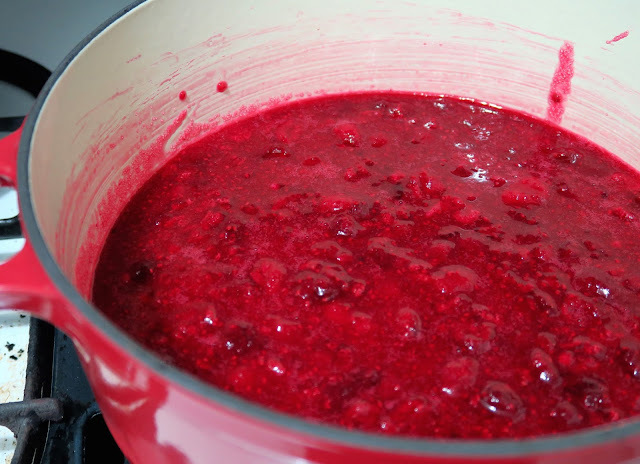 - Once at setting point, remove the jam from the heat immediately, pour into warmed jars. If jars are not warm when filling them they can crack. Wipe down any messy edges with a clean cloth and seal the lid immediately. The jam should keep well for up to 2 years in the pantry. If you have a dishwasher, this is the easiest way. Place jars and lids in a dishwasher on a hot cycle, remove them once done without touching the inside of the jars or inside of the lids. Make sure jars are still warm (but not wet) when filling them with hot jam. Otherwise if you don't have dishwasher like me, wash jars in hot soapy water and rinse well. Place rinsed jars on a tray in a preheated, low (120C) oven for about 30 minutes. Place the lids in a pot, cover with water and bring to a boil and simmer for 10 minutes. I take the jars out of the oven just before I am about to fill them so they are still warm. Or you can go to any home-brew shop and they sell sterilising chemicals which you can also use. 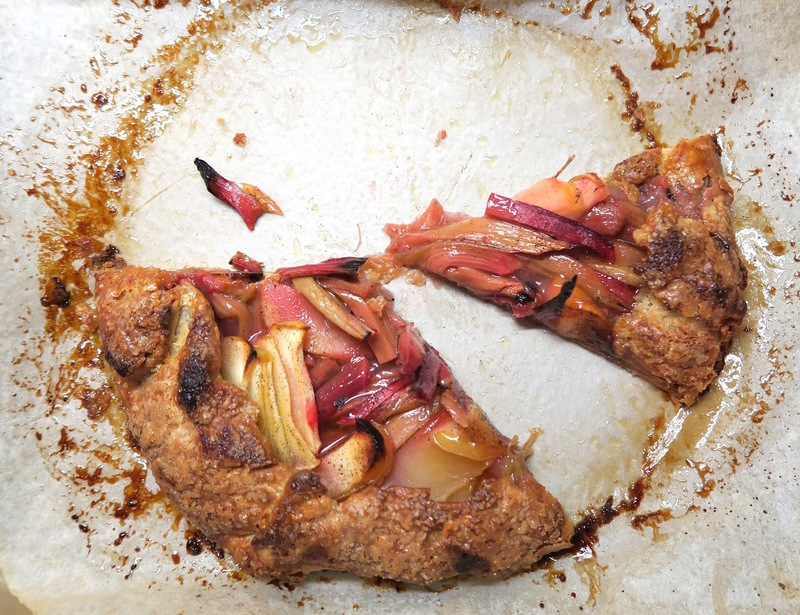 Rhubarb and Apple Galette with an all butter spelt pie crust. Yossy Arefi from the blog 'Apt 2b Baking Co' recently released her first cookbook 'Sweeter off the Vine' but I am yet to get my hands on a copy (come on payday!). This hasn't stopped me drooling over the recipes and photos from it, you see I've turned into bit of a stalker. I've been reading all the reviews from other bloggers who have a copy and I have serious FOMO. So to try and fix my serious case of FOMO I decided to make a recipe from her blog instead to feel included in this online bake-a-long. Just to make you also have FOMO, you can see a trailer for the cookbook here and if you don't crave pie or blueberry cobbler after watching it, something is wrong with you. It was the perfect opportunity last weekend when I found a semi dodgy looking bunch of rhubarb (I think it was the last of the season) hiding in the bottom of our veg box. 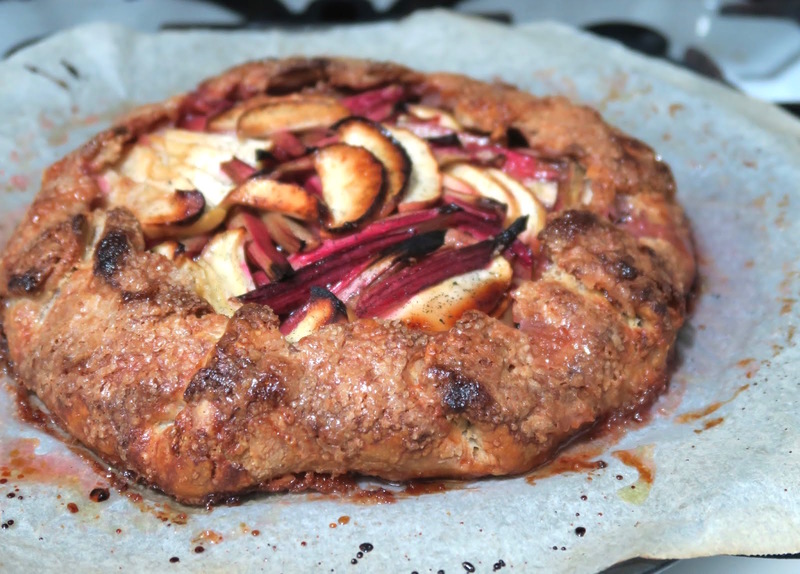 It was just asking to be turned into pie and when I saw the apple and rhubarb galette on Yossy's blog I was sold. A galette is a free formed tart where you pile the fruit in the centre of the rolled out pie crust and fold the edges over so a tart tin is not needed. It's rustic and in my opinion so much better than a traditional tart, you get more of the flaky pastry edges but not quite as much if you had made a pie so I think of galettes somehow in between a pie and a tart... kind of. Anyway, it definitely doesn't skimp on indulgence. The recipe starts with your favourite variety of all butter pie crust. I don't have a specific favourite so had a little search around for a recipe and found a rye pie crust from Food52 but couldn't find rye flour (I didn't try very hard) so decided to use spelt instead. Totally different flavours I know but I just went with it and I think I've found my favourite pie crust because boy oh boy was it good! You smoosh the cubed butter into fat discs so you end up with chunks of butter spotted throughout the dough, which when baked go all flaky and buttery and with the raw sugar sprinkled on top you get that sweet crunch. 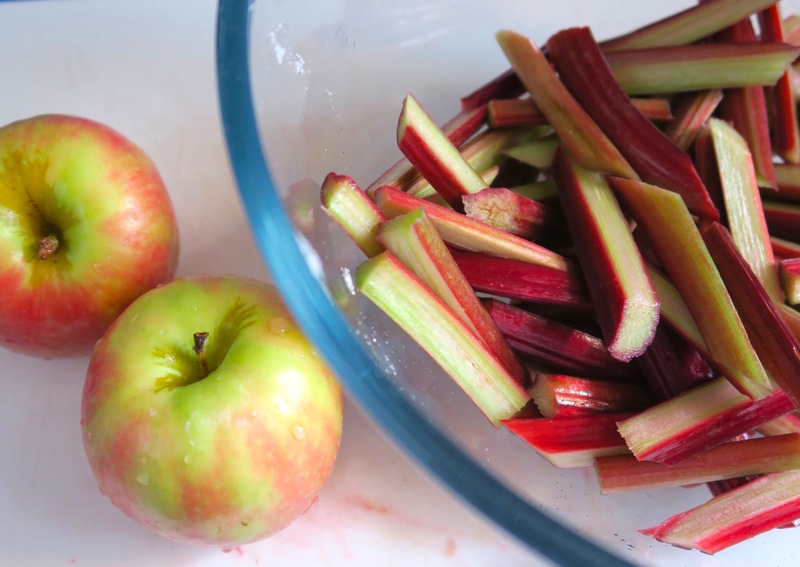 You can never go wrong with the combination of rhubarb and apple, it's always a perfect match. 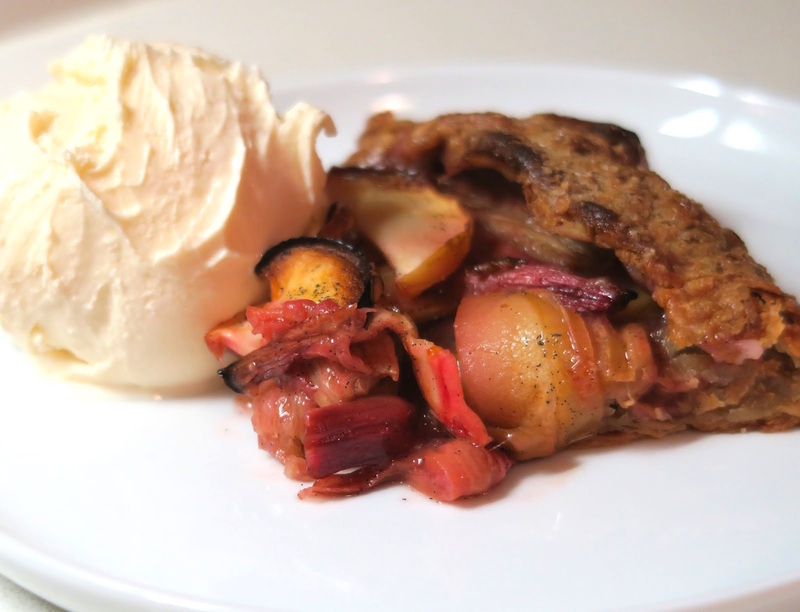 The tartness of the rhubarb works so well with the sweetness of the cooked apple and then the flaky buttery pastry... oh my! It is seriously good pie crust. Add a scoop of vanilla ice cream on top of the warm galette and you've lost me to this dessert forever. The pie crust recipe makes enough for two galettes (or one pie) so I have a disk in my freezer just waiting for me to roll it out, fill it with fruit and bake it. I know what I'll be baking and eating this weekend - and I highly suggest you make this too. As in, now. - Line a baking tray with baking paper and preheat your oven to 200C/400F. - Cut the rhubarb into 1/4-inch by 3-inch batons and the apple into thin slices, no need to peel. - Use a sharp knife to split the vanilla bean and scrape out the seeds. Combine them with the 4 tablespoons of sugar and using your finger tips rub the sugar and vanilla seeds together to evenly disperse them. - Roll out the pie crust till it's about 12-inches in diameter then transfer onto the lined baking tray. Sprinkle the flour and 1 tablespoon of the vanilla sugar over the top, leaving a 2-inch boarder around the edge. Arrange your rhubarb batons and apple slices in the centre, overlapping each other and keeping the 2-inch boarder. Sprinkle the remaining vanilla sugar along with a pinch of salt and a squeeze of lemon juice over the top of the fruit. - Fold your boarder of excess dough over the fruit and press gently to seal the fold. Put the whole thing in the freezer until the dough is firm, about 15 minutes. While the galette is in the freezer, whisk your egg up in a small bowl. - After the galette has chilled, brush the edges of the dough with the beaten egg and sprinkle with the raw sugar. Bake until deep golden brown, about 35-45 minutes. - Combine flours and salt in a bowl. Using your fingers smoosh the cubed butter into smaller pieces, some the size of squashed peas and others the size of podded broad beans. Some of the butter will end up completely worked into the flour, thats ok but you want some chunks as this makes the pastry flaky - don't be afraid of the chunky butter bits, this is not shortcrust pastry remember. - Combine the water and apple cider vinegar into a jug. Make a well in the centre of your flour and butter mixture and slowly pour about 6 tablespoonfuls of the water-vinegar into the dough while gently mixing. If the dough seems dry add a teaspoon more at a time (I added ended up adding all the liquid but this will depend on your flour). You have added enough water when you can pick up a handful of dough and squeeze it together easily without falling apart. Press the dough together then split into two discs and wrap in plastic wrap. Chill the dough for at least an hour (or overnight) in the fridge. You can freeze the dough for up to one month wrapped in a double layer of plastic wrap and a layer of foil. You will need to thaw it in the fridge until completely defrosted before use. *I found spelt flour in the health food section of my local supermarket. You can also use all plain flour in this recipe if you don't have spelt flour on hand. 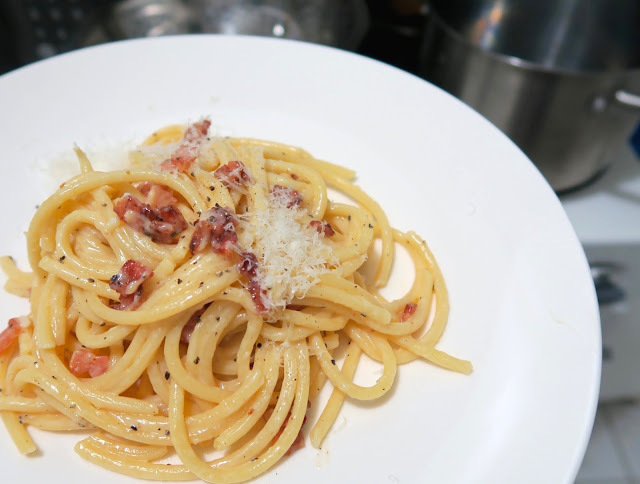 Carbonara from 'It's all Easy' by Gwyneth Paltrow. Raw egg. Some people have a huge aversion to it. Whether it's scrambled eggs which aren't cooked enough and still have the wobbly bits, a whole raw egg in a protein shake, stirring it through hot pasta or the eggs in desserts that haven't being heat treated. Everyone has their limits, mine being the egg in the protein shake. Younger me was very different, I'd cook scrambled eggs until they were dry and rubbery. Now I like them silky and soft and taken off the heat just before they are all the way done so the residual heat continues to cook them ever so slightly. I would never have made them like this when I was younger, I would have cooked the buggery out of them each and every time. Same goes for spaghetti carbonara, it was more like spaghetti with a side of scrambled eggs- it was awful! Being older and wise now my egg murdering days are gone but not forgotten and that might be because I've steered clear of carbonara and mastered the scrambled eggs. But when I received Gwyneth Paltrow's new cookbook 'It's All Easy' last weekend I was instantly drawn to the pasta and noodle recipes, more specifically the carbonara recipe. It's in a chapter called 'in a pinch'. Ha! I thought, carbonara in a pinch!? She's got to be joking. Then I read the recipe and it dawned on me that I could probably make this 'in a pinch' but would I end up with scrambled eggs again? She said it's easy, I mean she even says in the notes that 'it's shockingly easy to make' and I had all the ingredients so why not? I was kind of scared. Yes thats right. Scared of carbonara. I could have gone for any of the other recipes that also caught my eye such as the chicken and zucchini noodle pho, ramen 4 ways- miso, spring veggie, spicy prawn, roasted pork, or the poached asian chicken salad or even the grilled cheese and easy tomato soup. All of which look amazing and mind you, don't look like your average midweek dinner but until you get reading, they are actually quite simple dishes to put together. But I'd set myself a challenge at this point and I wasn't backing down. I was going to make carbonara, no side of scrambled eggs tonight. I mean we could always have cheese on toast for dinner if I botched it up real bad. I followed Gwyneth's instructions as if they were sacred. While the pasta cooked and my bacon pieces fried I cracked my eggs yolks and whole egg into a large mixing bowl and added grated one and a half cups of parmesan (I even measured it) and one teaspoon of freshly cracked pepper. After a slight moment of yelling at the book when the cracked pepper ended up everywhere other than on my teaspoon, I gave it a mix. 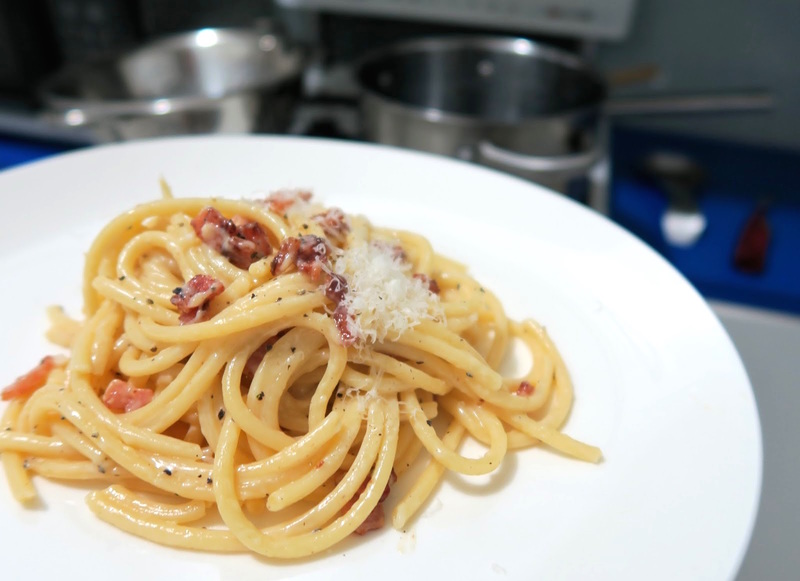 I clung to every step and reread them about five times when it came time to assemble and tossed my hot pasta in the egg mixture and bacon pieces adding a tablespoon at a time of the 'hot' pasta water (mixing constantly) until I got the silky consistency a carbonara should have. I served it straight away with a simple green salad with a punchy lemon dressing. And... it's one of the best carbonara's I've ever eaten. Yep, I said it. It was creamy and cheesy and not gluggy at all, the amount of black pepper was so delicious and bitey. I thought it was going to be too much and over powering but it matched the richness of the sauce and the saltiness of the bacon perfectly. In saying that though, if you don't like pepper I wouldn't put so much in but I loved it. And you know what? There wasn't one bit of scrambled egg in there at all. A perfect carbonara if you ask me... in a pinch and shockingly easy. YUM. 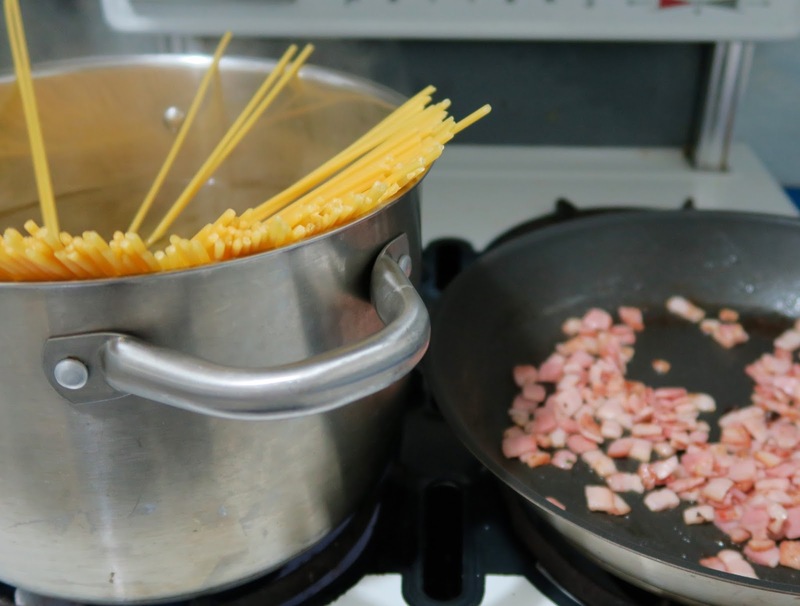 - Bring a large pot of heavily salted water to boil over high heat for the pasta. - Fry the bacon in a pan over medium heat until crispy, 5-7 minutes. - Combine egg yolks, egg, parmesan and pepper to a large bowl and mix well. - Cook the pasta according to the packet instructions until al dente reserving 1 cup of hot pasta water (the temperature is important because you are going to use this water to help cook the egg). - Drain the pasta and add it immediately to the bowl with the cheese and eggs, tossing immediately to mix everything together. - Taste and adjust with more cheese, pepper or salt.